Welcome to our Residence Inn Little Rock North hotel. Located off I-40, outside the Baptist Health Medical Center campus and just a quick drive to Downtown Little Rock, Bill and Hillary Clinton Airport, Verizon Arena, and the River Market District. Military and government travelers will love the short drive to Little Rock Air Force Base and Camp Robinson. Be sure to take advantage of our close proximity to Arkansas Riverfront shopping, dining and outdoor recreation.Traveling to Little Rock, Arkansas on business? Our Little Rock hotel is near LOr al, Caterpillar, Remington Arms, Dillards, JB Hunt, Welspun, LM Wind Power and Dassault Falcon Jet. 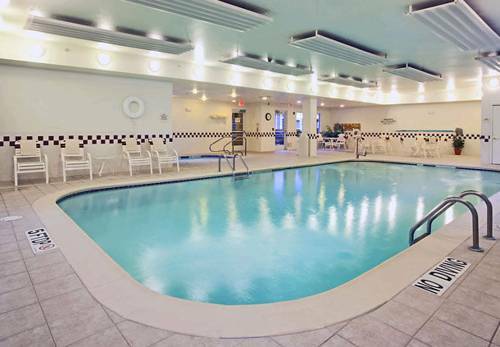 Our all-suite Little Rock extended stay hotel provides the comforts of home while on the road. At Residence Inn Little Rock North, our suites have fully equipped kitchens, living and dining areas, and include complimentary Hot Breakfast Buffet, Wi-Fi, Evening Social M-W, 24 hour fitness center and a Mini Market onsite.